School board members met at 4:30 May 10 to go over the budget before bringing it up for approval at the board meeting that started at 6. 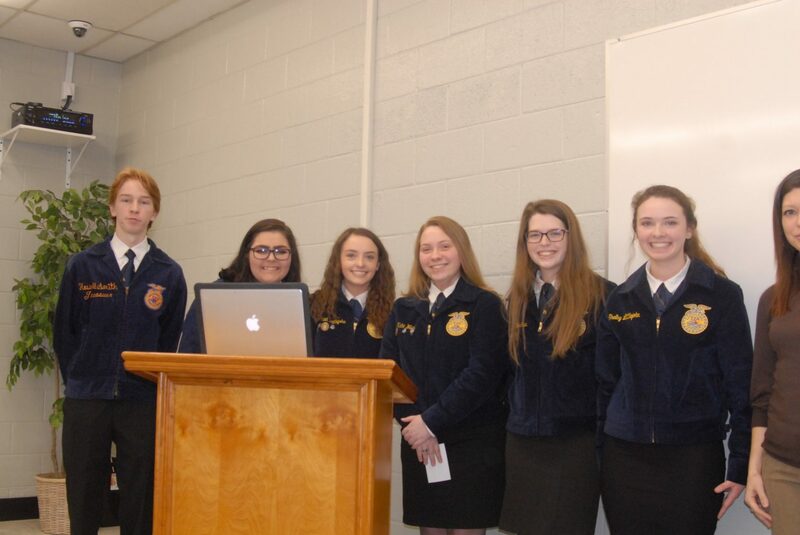 They will meet with the county budget committee on Monday, May 14. According to Superintendent Joey Hassell, CFO Larry Livingston and board members Harold Garrett and Allen Currie who serve on the budget committee, the projected expenses for the 2018-19 school year are $23,926,572. Revenue projections are $23,076,007, plus more than a $1,000,000 in grants that are not included in the expenses or the revenue because they haven’t been approved yet. The request from the county is $6,063,507. The rest will come from state and federal funds. The Haywood County Schools Fund Balance is $3,870,000, and according to CFO Larry Livingston, they are expecting to end this school year with a projected surplus of $68,033. Not included in the budget is raises for teachers, but Superintendent Hassell and board members all agreed that in July they want to revisit that discussion after they get all the figures for the 2017-18 year-end, and are more informed about revenues coming from the state and federal government. Board members approved to present this budget to the Haywood County Budget Committee for initial approval. Superintendent Joey Hassell introduced everyone to HHS Senior Mikala Leath. 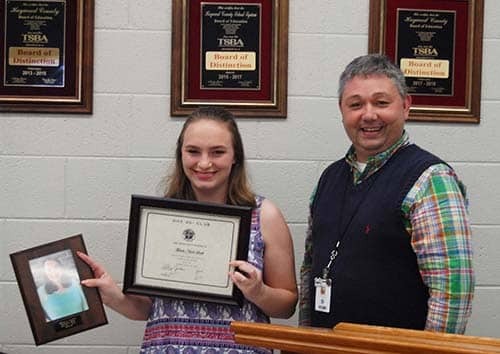 She earned membership in the prestigious 30+ Club at Haywood High School by scoring a 30 or better on the ACT. She is the daughter of Stephen and Kelley Leath and is a member of the Distinguished Scholars program. She is also the FCCLA Chapter President, a member of the Book Club, the Junior Humane Society, PEP, Health Council, DECA, Decathlon, Beta Club, and was a High School Musical Cast member. Her plans are to attend the University of Tennessee at Knoxville. She was ranked fourth in the Class of 2018. 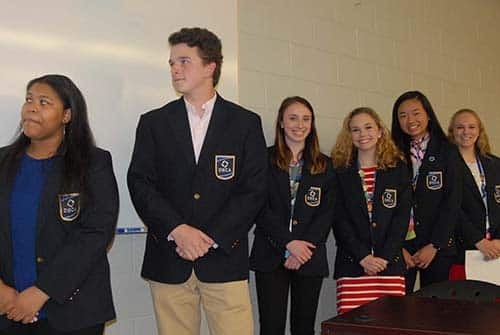 During the regular meeting, board members celebrated the DECA group that recently attended District and State contests and did well. 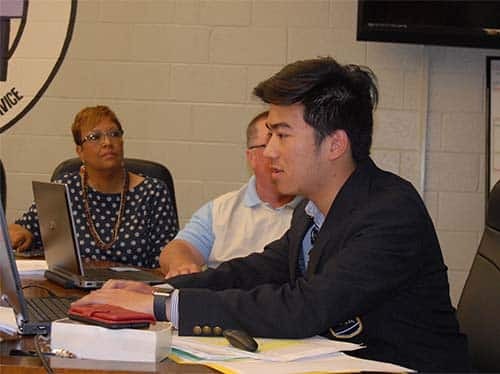 Bendy Yuan-Zhao and Leslie Fox, president of the locale DECA, and several others members of HHS DECA organization spoke to board members about what they did on several competition trips and their trip to New York. They were very appreciative of the school allowing them to go. They said they enjoyed meeting others and learning more in the areas of their interests, including Entrepreneurship, Team Decision Making, Finance, Tourism, Business Law and Ethics TDM, Principles of Business, management and administration. In other business, the board agreed with Superintendent Hassell that theTNReady Test Scores will not be used as part of students’ fourth-quarter scores in grades 3-8. Students in high school can use their fourth-quarter average or the TNReady scores, whichever is more beneficial to the students. Board members approved an out-of-state trip to a Cadet Leadership Course in Ruston, Louisiana, from June 10-17. Lt. Col. Myron Stamps also asked for $2,800 from the board to help with trip expenses. The board approved the request for money for the trip. They also approved a second reading on Policy #5.302 about creating a sick leave bank. At the request of Superintendent and Jeremiah Cavitt, Associate Superintendent, Chief of Operations, Transportation, Special Projects and Technology, they are asking board members to approve a MAC Computer Lease. Members approved this matter. The first of these Macs will go to teachers. Catherine Truss Calhoun Trust has $201,351.99 in it as of March 31. The next board meeting will be held on Thursday, June 14.